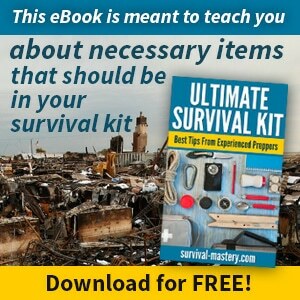 Your survival in the wilderness is going to depend a great deal on the tools you have at your disposal. Fortunately, you have time today to do some research and browsing to find the perfect gear to store away for an emergency. You don’t want to get stuck with whatever is left after a disaster. It would also be very risky for you to buy a tool, set it on the shelf in its pretty packaging and never give it a try. If you are not familiar with the way a tool feels and the best way to use it, you are going to have to waste time and energy going through some trial and error. You want to be fully prepared to take on the challenges of living in a world that is thrown into chaos because of some horrible disaster or event. You can’t afford to practice at a time when every minute counts. If you are in desperate need of a fire and need to chop kindling, you want to get it done quickly. Knowing how to use the tools you brought and their capabilities is going to mean the difference between getting that life-saving fire or putting your life in jeopardy. One tool you don’t want to try and live without is a hatchet. A hatchet is needed to do just about anything. You need it to build a shelter, build a fire, create a place to sleep and even used for hunting. 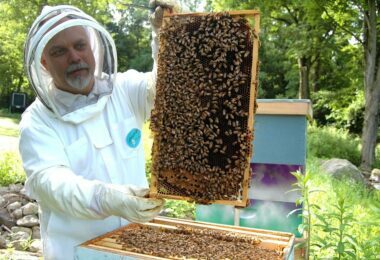 For tips and tricks on how to build a survival shelter, see our article on this important topic. If you manage to harvest an animal, you will want a hatchet to help you with the cleaning process. Before you head off into the wilderness, you need to be prepared with the best camping hatchet available. How do you know what is going to be the best? What makes one hatchet better than another? That will all be laid out for you right here. Is it a hatchet or an axe? People have been interchanging the terms for decades so it can be a bit confusing. Technically, an axe has a longer handle than a hatchet and the axe tends to have a heavier head. 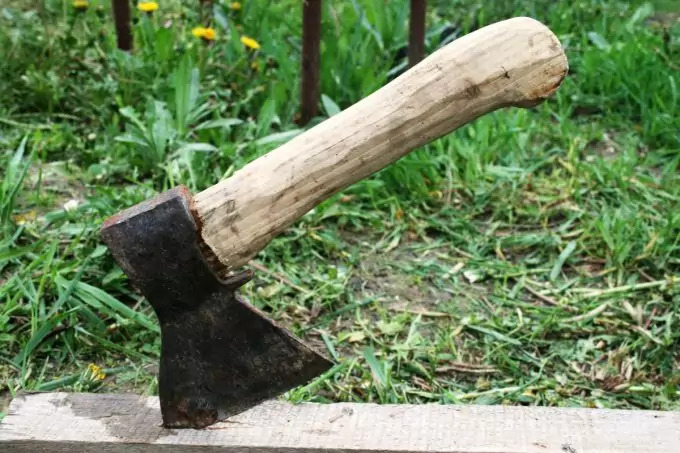 A hatchet is basically a smaller version of an axe. An axe generally requires the user to use two hands to hold the tool while a hatchet can be swung with just one hand. The shorter handle and lighter head make this possible. Now, there are a couple of other names that a hatchet may go by. Some people call them a hand axe, simply because it only requires you to use one hand to swing. There is a variation of the hatchet that is referred to as a tomahawk. The newer models on the market are a spin-off from the ancient tomahawks used several centuries ago as the main weapon in combat. Tomahawks nowadays are similar to a multipurpose tool like the Leathermen. A hatchet is much easier to carry, especially when you are bugging out. 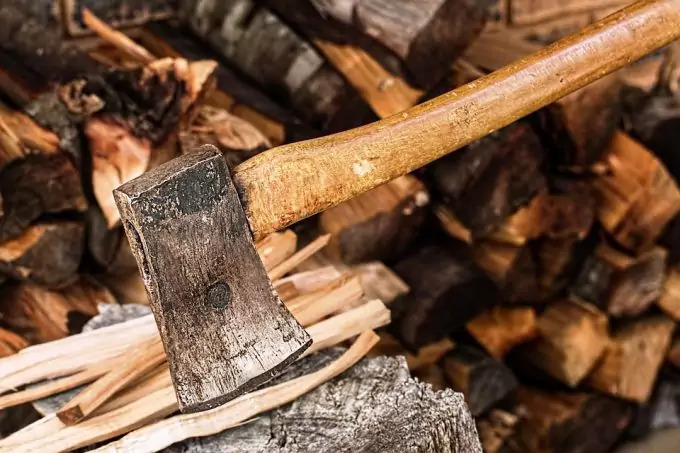 When you are shopping for the right tool for your bug out bag or to stash in your bug out vehicle, you want to make sure you are getting a hatchet and not a bulky axe. This list will help you decide on the best hatchet for camping or survival. See our piece on how to choose the best tactical hatchet to help you survive in the wilderness. First, when you are thinking about the hatchet you will be using, what will you be using it for? Do you plan on bugging in? 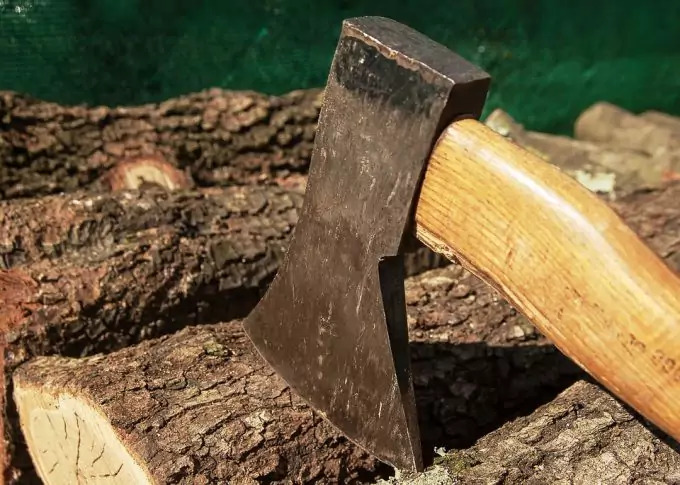 If so, you will probably have an axe and chainsaw, which means your hatchet will be for smaller jobs and not so much for big jobs like building a shelter or chopping down large branches. If you live in a forested area and your plan is to bug out, your hatchet is going to be a critical tool in your ability to survive. Maybe your hatchet will be used solely for chopping branches to make kindling for a fire. Think about where you live and what your emergency plan is. Your surroundings and the area where you live will play a factor in what the best hatchet for your survival needs will be. There are a number of different designs of hatchets. You want to make sure you get the right one. Your personal preference will also play a role in choosing the right hatchet. The average hatchet weighs a couple of pounds, which is truly more than enough. You don’t realize how heavy something is until you have had to carry it for hours on a long hike or have to swing it over and over. Because this is a tool you will be using with one hand, it needs to be fairly light. 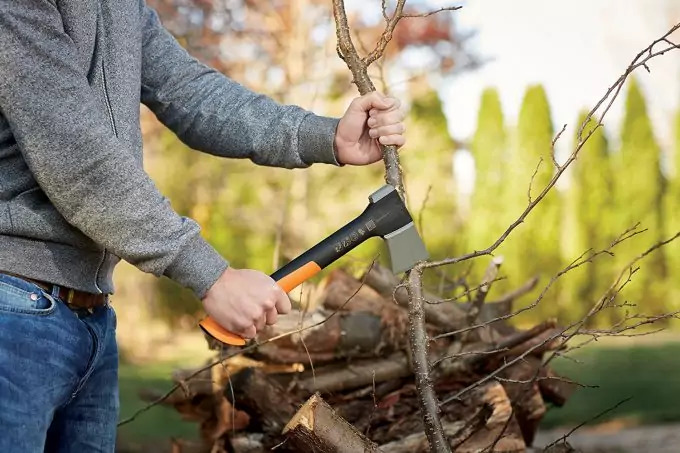 As you will discover in the reviews, there are hatchets that weigh a pound or less and hatchets that weigh several pounds. While a heavier hatchet may give you a little more chopping power when you swing it, it could also be dangerous if you are weakened. A heavy tool is going to be difficult to use when you are exhausted, possibly dehydrated and weak from lack of food. You would be very clumsy and end up hurting yourself by trying to swing a hatchet that is too heavy for you. Just because it is “okay” for you today when you are in good physical shape, it doesn’t mean it is going to work for you when you have been through a trying situation. The design is going to be very similar between all hatchets. The main difference in the design is going to be the type of head on the hatchet. You will have the option of a double-head, which is basically two sharp sides on the head. The next is a spiked head, which gives you a pick-axe and a hatchet in one tool. A single head is the most common and is sharp on side for shopping and flat on the other to be used for pounding. The size of the head is also a factor as the sizes range from a mere 2.5 inches to a whopping 4 inches. The size of the head should be complimentary to the length of the handle. For instance, a large head and a short handle are going to make it difficult to get a nice swing. On the other hand, a small head and a long handle are going to have you putting in a lot more energy and effort to get the job done. There are some varying handle lengths to choose from. You will also have a few options when it comes to the material the handle is made with. As far as length goes, the handles range from 6 inches to 24 inches. The longer the handle, the less precision you will have. Be wary of wording in advertisements. For instance, a hatchet handle that is longer than 16 inches or so is crossing into axe territory. It is going to be too long to comfortably wear at your side and too heavy to carry in a pack. Material for the handle should be a nice hard wood. Hickory is one of the most common woods used for handles. You want it durable. You can also choose handles that are made with synthetic materials or steel. Rubber, fiberglass and a combination of materials give you a lot of freedom to choose the perfect hatchet for you. A full-tang handle is a desirable quality. This eliminates the risk an axe head will fall off of the handle while in use. A head that flies off could hit you or someone in your party and cause serious injury. Hatchets that have heads that are glued on or a notch and groove attachment always run the risk of breaking with heavy use. Now that you know the specifics of choosing the best camping axe, let’s get into some of the options you have available. This is an inexpensive hand axe that is nice and light. It weighs just over a pound. It may not seem like a good choice because of the fiberglass handle, but it has been tested and proven to be very effective and durable. It is a good quality hatchet that fits nicely into a pack. It only costs around $15 which makes it an excellent deal. You don’t have to worry about getting a cheaply made product. The Graintex has gotten a lot of positive reviews from people who have put it to the test. When you see the price of the hatchet, you may be a little leery because it is so inexpensive. Fortunately, this one is a pretty good quality and will last you a while. You will need to sharpen the blade from time to time. For some, they have discovered the blade isn’t up to their sharpness standards upon arrival and have taken it to the grindstone to make it a little sharper. 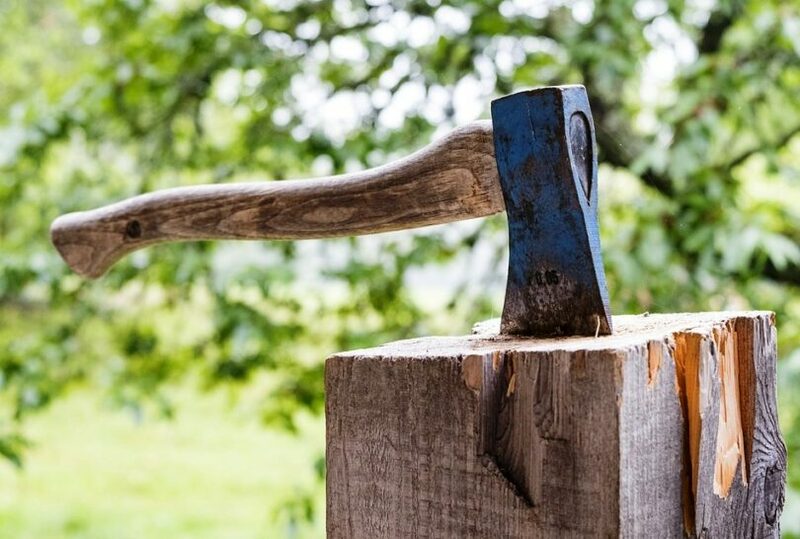 For ways and means on how to sharpen an axe, see our article on this topic to learn more. The hand axe has been on the market for several years and overall has a very high customer rating. Fiskars is famous for making high-quality scissors so a hatchet by the same manufacturer is promising. The X7 has a 14-inch long handle with a total weight of 1 pound 14 ounces. The head weighs just over a pound. It is perfect for repetitive use when chopping kindling or small logs. It has a carbon steel head, which makes it effective without being too heavy. It is a nice hatchet for about 30 dollars. It comes with a sheath so you don’t have to worry about finding one to fit it. This small hatchet is definitely a front runner in the world of hatchets. The weight is nicely distributed so you can get a nice strong strike with every swing. Unfortunately, the soft steel head that makes it nice and light will not maintain its sharpness for long. If you were to choose this as your survival hatchet, you would definitely need to have a sharpening stone. A dull hatchet isn’t going to do you a lot of good. The Estwing is flashy and functional. It is manufactured in the USA, which is important to some. Unlike many of the other affordable hatchets, this one has the head and top portion of the handle forged from on piece of steel. This means, you don’t have to worry about a head flying off while you are chopping wood. 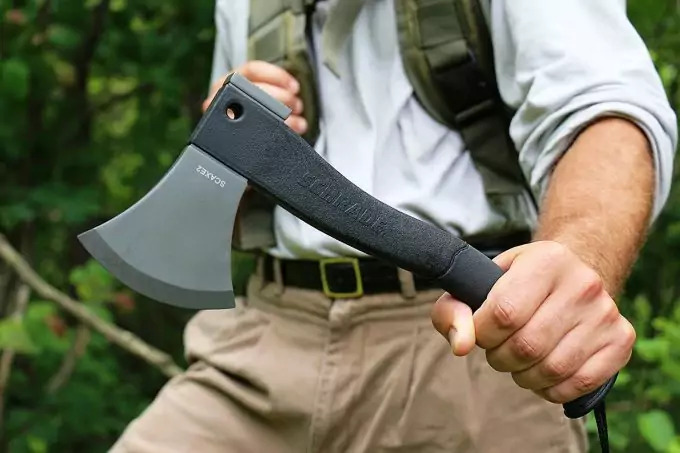 This hatchet will run you anywhere from 30 to 40 dollars, which isn’t the cheapest, but certainly not the most expensive. It weighs close to two pounds, which is approaching too heavy, but the design of the handle makes it feel lighter and puts less strain on your arm muscles. This is a nice hatchet for the young and old. It is a favorite among outdoorsmen who want something light, but durable and safe. One of the biggest drawbacks to this hatchet is that pretty handle. It is glossy and it looks great, but it doesn’t take long for the varnish to crack. This allows moisture to reach the wood and cause swelling and cracking. 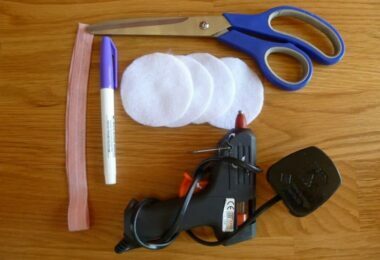 Ideally, you will want to forego the pretty and use sandpaper to remove the varnish. Apply an oil protective stain to the wood handle and your hatchet will last much longer. 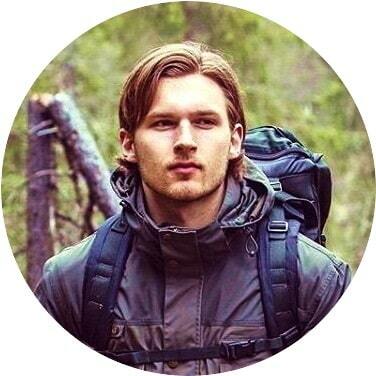 Bear Grylls is a well-known survivalist who has put his knowledge and skills in the survival world to the test in front of the cameras. His name is on a number of tools designed to aid in survival, like this hatchet. This hatchet looks very different from the rest with its rubber handle. It has a thin head, which makes it extremely sharp and great for chopping kindling and small branches. Because it is fairly thin, this isn’t the blade you want for splitting logs or chopping medium to large logs. This hatchet is mid-range in price and will cost anywhere from 30 to 40 dollars. This is a nice hatchet to have as a backup, but it isn’t all that light. In fact, it is almost two pounds which puts it on the heavier end of survival hatchets. Another drawback is the thinness of the axe head. It isn’t going to do well chopping logs that have a diameter of more than a few inches. The backside of the head is thin as well and will not be suitable for pounding tent stakes or using as a hammer at all. The sheath is made of nylon, which is not suitable for carrying in a pack or at your side. The blade is very sharp and it will cut right through the sheath. You can always buy a better one. 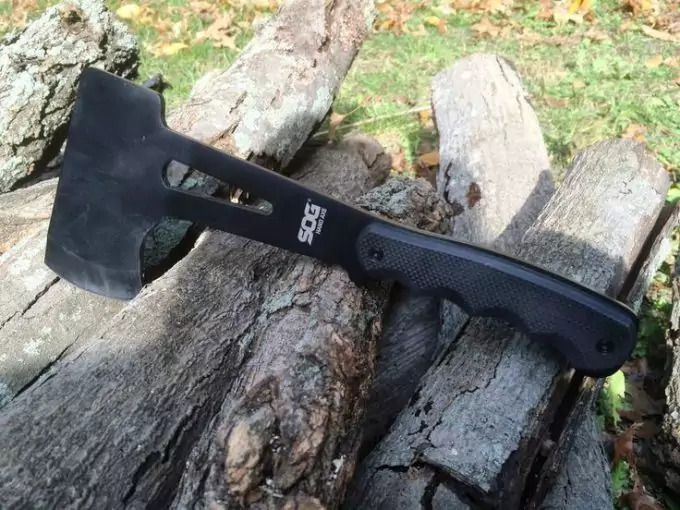 This short, very short, hatchet is a nice tool to have in the bug out bag. It is a bit heavy, weighing almost two pounds, but it is useful. This hatchet is different than the rest because it has a built in fire starter on the back of the head. If you lose everything in your bug out bag, but manage to hold onto your hatchet, you can still start a fire fairly easily. The handle is just over five inches long, which is on the short end, but gives you better precision. In total, the hatchet is less than 12 inches in length. This makes it perfect for carrying on your belt. 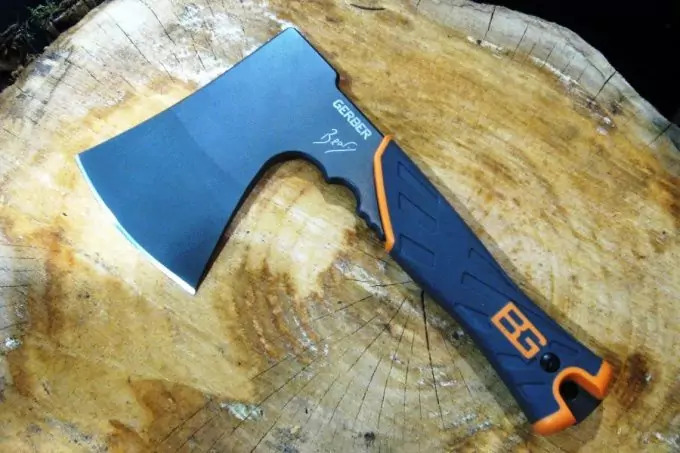 As far as pricing, this tool will cost you anywhere from 30 to 40 dollars and is very comparable to many of the other hatchets on the market. This is definitely one of the more functional hatchets you will find. It is a nice size for carrying around in a bug out bag or on a belt. The sheath that is included with this hatchet is of pretty poor quality. It isn’t hard to buy a sheath. There has been a noted issue with the hatchet handle breaking in two at the head when used in extreme cold or with heavy use. 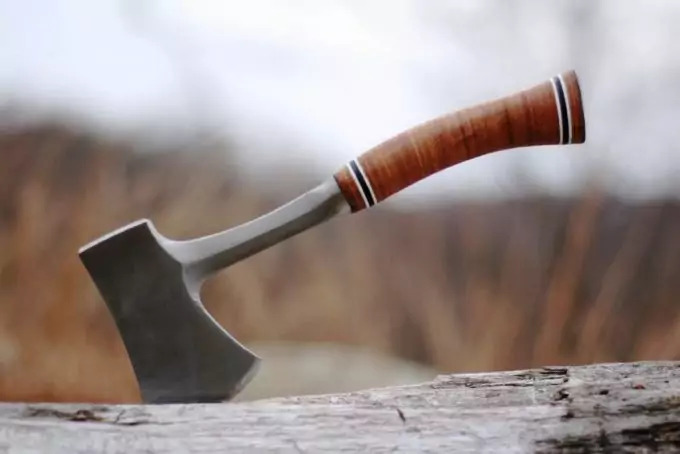 It is important to remember this is a hatchet better suited for bushcraft and not an axe that you would use to cut down trees or split large logs. Use it as it was intended and you will be fine. The hand axe has a unique look. It comes in at just over 11 inches in total length. It is small, but mighty. The blade is a little less than 2.5 inches, which makes it one of the smaller ones on the market. It is thin, which lends to its sharpness. The handle is textured with G10 scales that give you a nice grip. The hatchet weighs 18 ounces or barely more than a pound. This is an ideal weight for carrying in your bug out bag and repetitive swinging. The thin axe head makes it super sharp and a useful tool for hunting and chopping kindling. Because of the thin head, the backside isn’t going to be very helpful as a pounding tool. It is important you recognize how small this hatchet is. It isn’t the tool you would use to split small to medium logs. It is very small, which gives you excellent precision when you need it, but not the tool you would use in a survival situation in the forest or deep bush. It can be compared to a high-quality survival knife. The price is a little high for its limited functionality at $35. This is a nice tool to have stored in your vehicle or stashed with your emergency supplies. 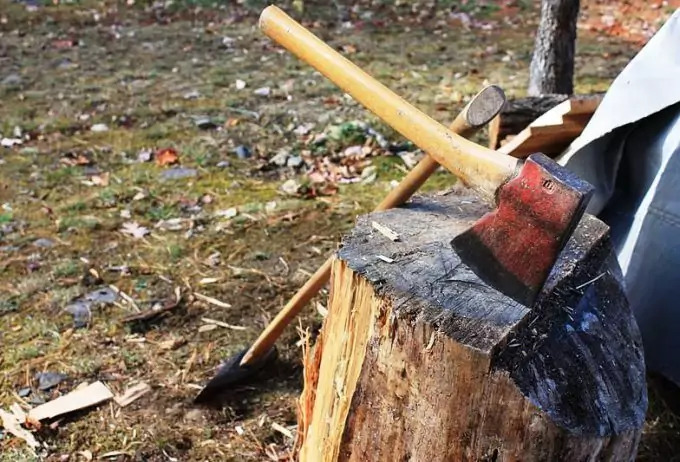 You will definitely want to do some shopping around and do some hands-on work with a hatchet before you decide if it is the one for your bug out bag. Everybody will have their own opinion about what feels best in their hand and how thin they want the blade. Do your homework and ask your friends and trusted experts about what they recommend. Not every hatchet is created equal. You need to find the one that is going to aid in your survival and not result in a serious injury or hinder your ability to do what is necessary to survive. For the best bushcraft tools you need in order to survive, see our informative article on this topic.